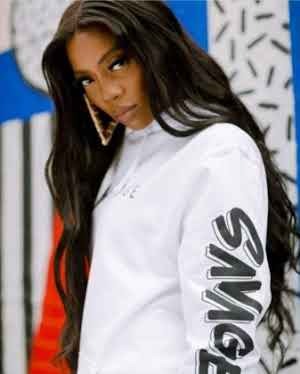 Popular award winning Nigerian singer, Tiwa Savage has taken after Wizkid, announcing the opening of her Pop-up store in London just few days before her Savage Tour. 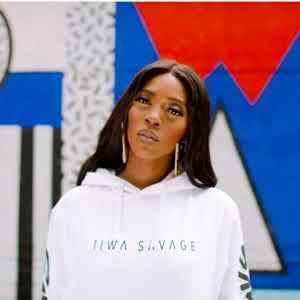 The Mavin queen who is presently in London for her tour announced her Pop-Up store in London on Monday, 20th of August. 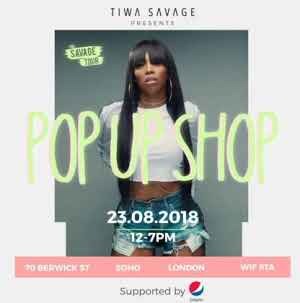 She revealed the store will be launched and officially open for business on the 23rd of August, a day before her Savage Tour in O2 Arena. 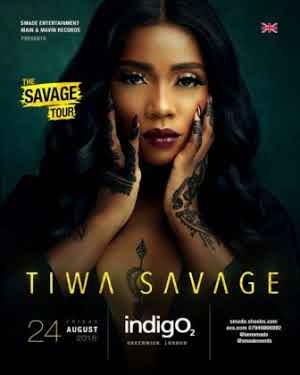 This is similar to the same action taken by Wizkid during his Afrorepublik show at the O2 Arena on May 26th where the Afrobeat singer unveiled his Pop-up store in London on the 25th. 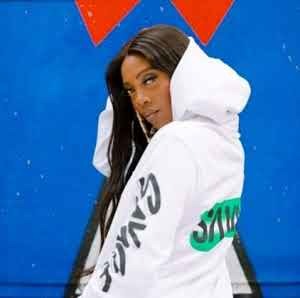 This move repeated by Tiwa Savage is a strategic one as it helps the artiste sell out their fashionable stocks to fans who want to have a piece of their favourite artistes with them while they listen to them perform Live. 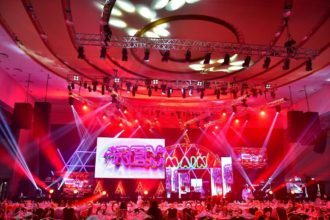 This way these artiste are using one show to generate more revenue. Pop Up Store 70 Berwick Street, SOHO W1F 8TA”.